Stevenson cites the usual statistics, namely that “[w]omen’s labor force participation stands at less than 57 percent,” but she also points out more promising news. Of the work that remains to be done, Stevenson describes legislative priorities, including paid family leave and the paycheck fairness act, as well as roles only employers can fulfill. Earlier today, a new consortium was announced—Employers for Pay Equity—that will do just that. The consortium is comprised of 25 companies—some of them competitors—who will be working together to share best practices in inclusion and diversity with the goal of eliminating pay and leadership gaps. Stevenson, who facilitated an August 3 panel at the White House on best practices for companies working to reduce gender and racial pay gaps, helped the consortium members craft their mission and identify shared goals. “We should all be grateful that these companies are coming together to lead us to a stronger and fairer economy,” she writes. 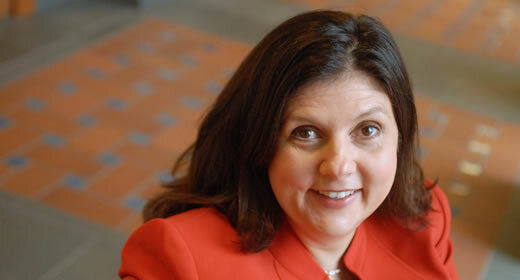 Betsey Stevenson (@BetseyStevenson(link is external)) is an associate professor of public policy and economics at the Gerald R. Ford School of Public Policy. She served as an appointed member of the White House Council of Economic Advisers (2013-2015) and as chief economist of the U.S. Department of Labor (2010-2011).